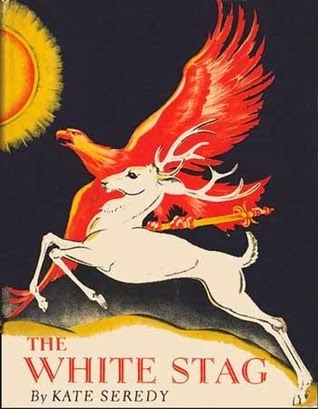 The 1938 Newbery Medal winner, The White Stag, is a slim novel with many illustrations. In short, descriptive chapters, it relates the story of the Huns and Magyars making their way to their "promised land" where they will eventually settle the country of Hungary. Each chapter represents a new generation, beginning with Nimrod, and ending with the birth and rise to power of Attila the Hun. Magical elements appear throughout the story, in the form of a white stag said to be sent by the god Hadur, a young blind man who sees the future, and moonmaidens who become the wives of some of the characters. 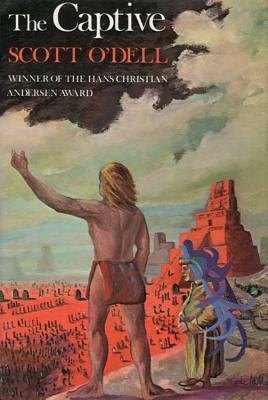 The story is based on the author's father's favorite folktale about the history of Hungary, and is not intended as a factual presentation of events. When I was planning my historical fiction reading project, I opted not to include The White Stag, mostly because it spans such a long period of time that it would be hard to fit it into my timeline, but also because it involves magic, and I am focusing on realistic novels. However, after learning that the author, Kate Seredy, was living in Montgomery, NY (not far from my hometown) when she wrote this book, I decided I absolutely had to read it. I wound up reading the entire thing aloud to my husband and toddler in a single sitting, and despite not knowing anything about the Huns, I was completely drawn into the story and eager for each new turn of events. Seredy's writing is a treat unto itself. She has a wonderful way of getting inside the minds and hearts of her characters to guess at what might have motivated their behaviors and attitudes. Though most of us know Attila the Hun as a fearsome conqueror, Seredy takes the time to explore why this might have been, and shows how the peaceful attitudes of his forebears devolved, over time, into violence. There are a ton of negative reviews on Goodreads complaining that this portrayal of Attila is somehow offensive, or "wrong" but those reviewers really seem to be missing the point. This is a mythical tale, not a textbook, and speculating about what could have happened is half the fun of reading and writing historical fiction. 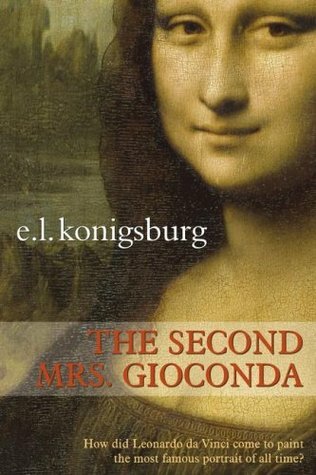 As with Konigsburg's The Second Mrs. Gioconda, this is a book to enjoy in conjunction with learning about the time period, as it is knowledge of the historical events that enriches the reading experience. Though the subject matter might be unfamiliar to kids, the layout of this book is very appealing, with a full-page illustration every 2-3 pages. If it is presented to them as an exciting epic rather than a boring old award winner, I would think boys, especially, will happily allow themselves to be sucked into the story. 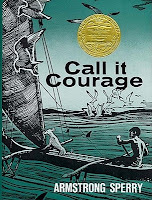 Though the book is short, like a chapter book, I would put it in the same category as Call it Courage and recommend it to older elementary readers. It's also a wonderful read-aloud, and even reading just one chapter aloud to a group is likely to grab their interest. Don't let the negative reviews on the Internet fool you - this is a great book, and it holds up just fine nearly 80 years after it was first published. Frances is such a spunky little girl, who wouldn't want to spend time with her? She knows how she wants others to treat her and demands nothing less, she appreciates a good song (and frequently writes her own), and she (mostly) loves her little sister Gloria. Of all the children's books I read as a child, this one was one of the most relatable, because Ira has the concerns of a real child. I especially loved his relationship with his manipulative sister, and the realness of his embarrassment over sleeping with a teddy bear. There is something irresistible about a supposedly responsible grown-up who acts like a child. I love to read this book aloud and say "Come in!" in a very kingly voice, which somehow makes his refusal to leave the tub that much more ridiculous. I love Max for his wildness, but also for his underlying sweetness, which ultimately causes him to calm down his angry feelings and wish for home and his mother. I remember thinking Miss Nelson was brilliant even when I was a kid, and that feeling has only increased now that I am an adult. She appears so sweet and innocent, and yet underneath her friendly smile lurks the diabolical mind that conjures Miss Viola Swamp. You don't have to be the middle child to empathize with Nora's frustration in this book. In many ways, she is like a female Max, full of wildness when her feelings are hurt, but also willing to forgive when the anger subsides. Though this book is mostly about the three owl siblings waiting for their mother to return, the mother herself is a definite force to be reckoned with. I frequently find myself quoting her, as I say to my daughter, "What's all the fuss?" Little Miss Muffet is fascinated by Stanley, which makes him even more likeable than he might be on his own. I like his wide range of abilities, his willingness to help his friends, and his reliable adherence to a bedtime routine. We have all felt like Titch - small and insignificant - at some point. This books reminds us of those opportunities when our actions mean something and impact the world around us. If you are a blogger, it is likely that you are also active on various social media platforms. Social media makes it easier to find an audience for your blog, and to network with other bloggers inside and outside of your area of focus. In my case, I use different sites to accomplish different goals. My Twitter account automatically updates each time a new blog post is published. I use Pinterest to curate my posts visually, and to collect other sites' materials that will complement my own. And Facebook is where I network with other library, literacy, and book bloggers. As I become more involved in various communities on Facebook, I also become aware of how interaction could be improved. Today I want to share some of my tips for interacting professionally on Facebook. Tip #1: Do your homework. Before you begin posting in a Facebook community, make sure to seek out the rules and review them. Administrators of online communities have the difficult task of managing the behavior of dozens, hundreds or sometimes thousands of nearly-anonymous users. You can avoid making their job more difficult by making sure that whatever you post in the group is permitted by the community rules. It is also important that you do not post questions to the group that you have not already attempted to answer on your own. There is nothing more frustrating (especially in library-oriented communities!) than reading someone's question, only to find the answer in the first result that pops up on Google. Professional networks are wonderful for crowd-sourcing difficult questions and troubleshooting real problems, but it is a waste of everyone's time and resources if each individual doesn't do his or her homework. When engaging in discussions in your Facebook communities, it is really important to read carefully and make sure you understand what is being said before you reply. This is especially necessary when answering a colleague's question. Often, a poster will indicate exactly what type of information he or she needs, and what type of information he or she is not looking for. When you read too quickly and miss these statements, your responses to the discussion can easily turn out to be irrelevant and pointless, not to mention frustrating to the original poster who has to wade through useless information to find the helpful content he or she requested. Tip #3: Don't be an echo. Often, you will find that the comment you wished to add to a Facebook discussion has already been posted by someone else. Your initial temptation might be to repeat the same sentiment in your own words, but this is not really necessary. You can just as easily show your support for the comments you agree with by clicking "like" underneath each one. This saves other members of the group from having to read the same response over and over again, and it makes it easy for everyone to read the truly different opinions being presented. Tip #4: Turn on notifications. You probably don't want to be notified every time anyone posts in your Facebook communities, but sometimes you may want to get notifications for a specific post. Instead of commenting with an asterisk, period, or the word "following," you can simply turn on notifications for that specific discussion. To do so, click the drop-down menu and choose "turn on notifications." This will allow you to follow the conversation without cluttering the discussion with unnecessary comments. Even in communities which allow self-promotion, you should use discretion when sharing links to your own blog. It is usually fine to do this in response to requests for specific information, but it is less welcome when you post a link just to promote your blog, or to ask for general feedback. Obviously, in some communities, it is expected that you will ask for help with specific aspects of blogging, and many of these questions will require a link, but there should always be a reason behind the post, and you should also make a concerted effort to participate in the community in other ways. In four chapters illustrated with blue and white ink drawings, this novella relates a Polynesian legend wherein a boy known for being afraid proves himself capable of taking on the elements on his own. Mafatu lost his mother to the sea as a young boy, and ever since, he has feared the wrath of the god Moana, assuming it is just a matter of time before the water comes for Mafatu as well. Frustrated by all that he sees others in his village accomplish, Mafatu decides to run away and prove his courage by facing his fears and hoping the god Maui will see him through. The appeal of this book is mostly lost on me. Ever since I was forced to read The Cay in sixth grade, I have had a disdain for shipwreck books, and having just read The Captive, I wasn't really ready for another one. In fact, Mafatu's experiences in this book were so similar to what happens to Julian in The Captive that I kept forgetting which details belonged to which story. The writing is concise and straightforward, but I had trouble empathizing with Mafatu, and even in the most suspenseful moments of the story, I was more eager to stop reading than I was to find out what would happen next. It felt like it took me longer to get through this book than it typically takes for me to read 300 pages. 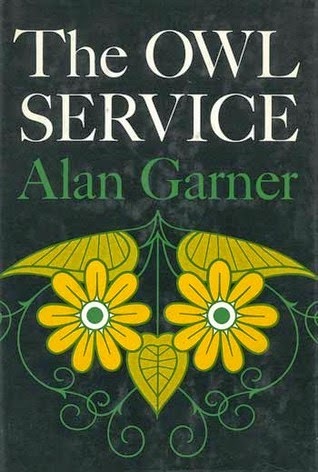 What I do like about this book, despite the problems I had connecting with it, is the lesson. Mafatu is afraid because of something terrible that happened to him, and he sees himself as a coward. Others in his village ascribe this attribute to him as well, but their opinions seem to matter only because Mafatu is so down on himself. It is inspiring to read a story in which a character does hard things for the sake of proving to himself he can do them. 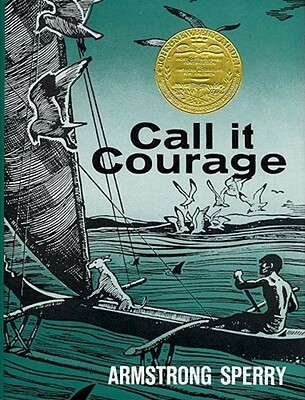 Each time Mafatu has a victory - handcrafting his own knife, killing a hammerhead shark, fighting an octopus, building a seaworthy boat - the reader has the opportunity to reflect on his own obstacles and consider whether they are as insurmountable as they seem. Though it's not my favorite, I think there are plenty of kids who would love this book. 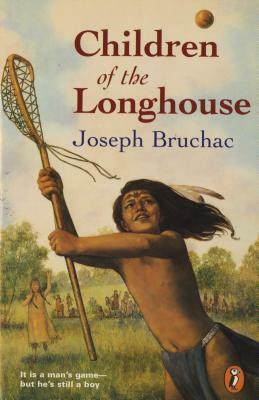 It has some things in common with some of the more exciting Calvin Coconut books (Man Trip, Hero of Hawaii), and with Gary Paulsen's wilderness survival stories, which are popular, and it includes lots of details about building shelters and boats, making tools, starting fires, and hiding from enemies. Suggest it to adventure lovers in grades 4 to 7. Life has changed for the Penderwicks. Rosalind is away at college falling in love with a pretentious jerk, and neighbor Nick Geiger has joined the military. Jeffrey is in love with Skye, and Batty is caught in the middle between the three older sisters with whom she shares a mother, and two younger siblings, step-brother Ben and two-year-old half-sister Lydia. Batty, now in fifth grade, is also struggling to come to terms with a talent for singing that has recently been recognized by her music teacher at school. To raise money for singing lessons, she starts an odd-job service in the neighborhood, which leads to her walking two dogs - a painful experience, since she blames herself for the recent loss of the family dog, Hound. After overhearing a late-night conversation between Skye and Jeffrey, Batty also begins blaming herself for another, greater loss - that of her mother, shortly after her own birth. Spring on Gardam Street is a brand-new season filled with misunderstandings, difficult truths and deep emotions. Compared with the second and third Penderwick books, both of which relied heavily on coincidence to further their plots, this book is a major improvement. 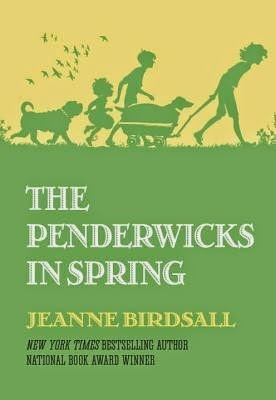 While there is still a sense that everything in the Penderwicks' world is a little bit rosier than the rest of the universe, there is also a truth to the feelings Batty experiences as she begins to come into her own as a person, not just as a little sister or a big sister. The jump ahead in time is not nearly as jarring as expected, and it is wonderful to gain an even greater understanding of what everyday life is like on Gardam Street, and in Batty's school. The plot did feel a little thin, as the tension between Skye and Batty was not well-developed in previous books, and the revelation Batty has about her mother's death isn't really that much of a surprise. (At least not for adults. Maybe for kids.) There are also way too many names in the story. Every character, it seems, no matter how minor, has an unusual or ethnic name, but no personality or role in the plot. There are already at least ten main characters, so adding these extra people into the text seems like a sure way to confuse readers. There are also a lot of references to contemporary books and authors that are probably going to make this book feel dated by the time the next one comes out. 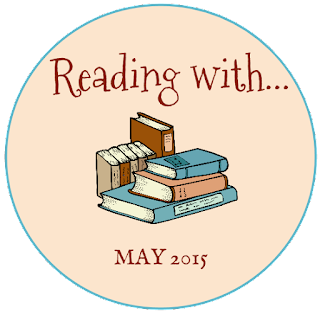 Overall, there is lots to love in this book, and it was a pleasant read. It would be hard for any book of this series to live up to the charm of the first one, but this is a solid novel that will appeal not just to Penderwicks fans, but also to kids who like introspective, shy, and emotional characters, such as those who appear in Linda Urban's novels Hound Dog True and The Center of Everything.